A classic, with a twist. We have added acerola cherry, also known as the Barbados cherry to provide a subtle tart flavour to an all-time popular smoothie. 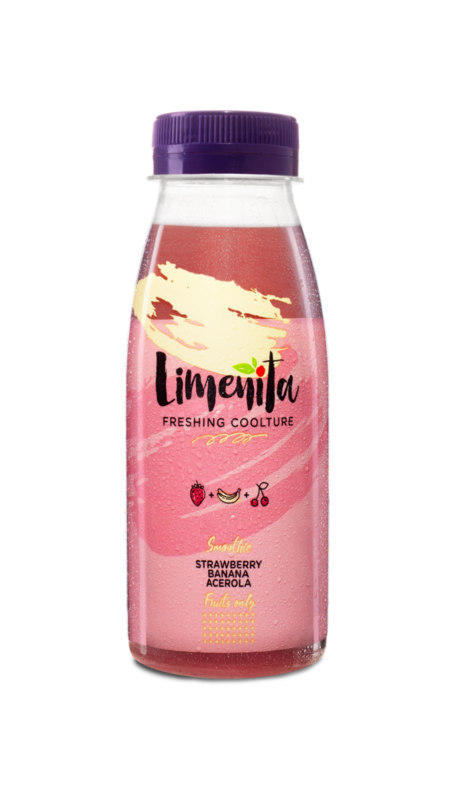 250 ml bottle contains the juice and puree of 16 grape berries, 3,5 strawberries, 1 banana, 1/4 apple, 1/4 orange, 1,5 acerola, 4 black currants and a few drops of lime. Smoothies are a natural source of fibre. Keep in the fridge between 0 and 7 °C.